The staff were all very helpful. Wonderful ambiance and atmosphere. Great chill out areas offering a lounge, a bar and food. 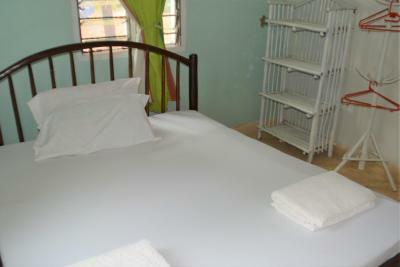 Hostel is close to the beach, the supermarket and the spot where you can get public transport to town. 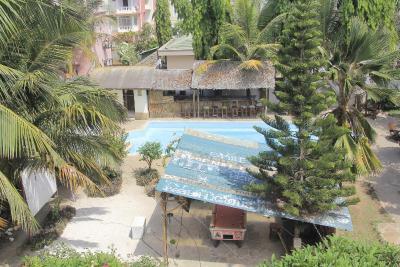 Great staff, good bar and vibe in communal areas, location was in a safe and quiet (albiet somewhat bland) neighborhood north of Mombasa. Easy to get around, good restaurants nearby. The location was close to shopping mall, but quite far to the beach. The food was really good. The ground floor gardens are beautiful and the view from the private terrace is nice. It's nice that the room will have it's own private terrace when the door is finally fixed. 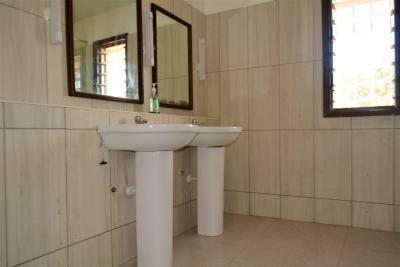 Very well placed, close to shops, well linked to Mombasa town. There's a 7' matatu ride (KES 30) to a beach (there's a public one, and I think there may be a private one as well, probably less busy). Food was really nice (dinner). The room was clean, the staff is super friendly and helpful, dogs around are to die for. All in all, I had a very nice stay and I would not hesitate to go again. 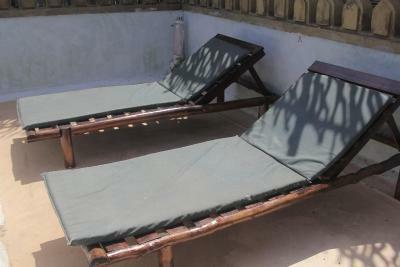 Featuring a garden with an outdoor swimming pool, Tulia House offers rooms with a balcony and outdoor furniture. 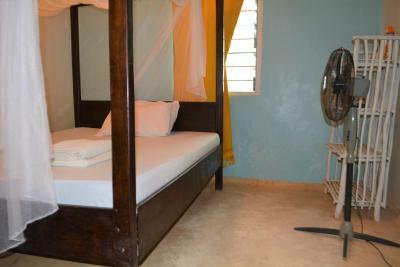 The hostel is located just 5 minutes' walk from Mombasa Beach. The rooms are all equipped with a wardrobe. 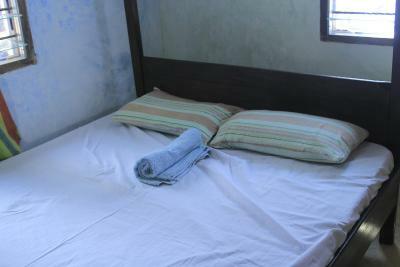 Most rooms have a private bathroom but some rooms come with access to shared bathroom and toilet facilities. 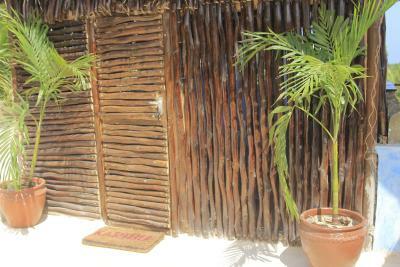 Guests can enjoy international and Kenyan dishes at the on-site restaurant and bar. 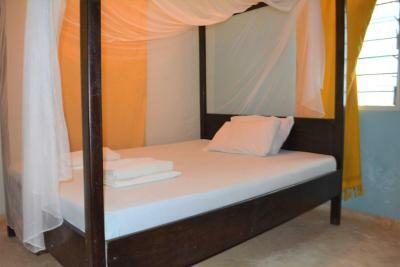 There is also a 24-hour front desk, and free WiFi access is available in public areas. 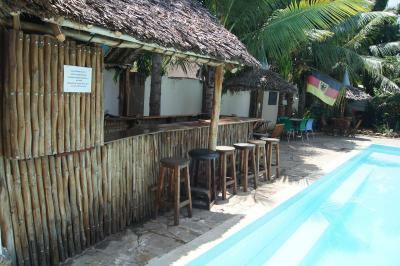 Tulia House is a 5-minute drive from Bamburi Beach and 10 minutes' drive from Mombasa's city center. Moi International Airport can be reached within a 30-minute drive. 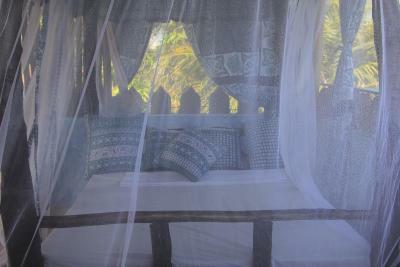 When would you like to stay at Tulia House Backpackers? 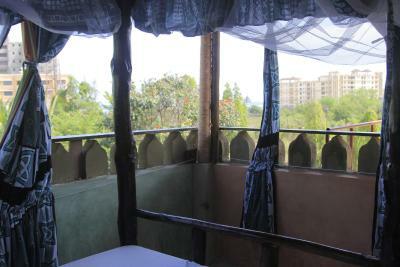 Featuring a balcony with outdoor furniture, this room comes with a wardrobe and a private bathroom. 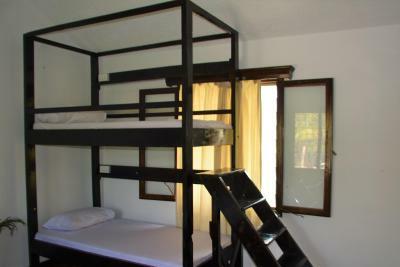 This bed comes in a dormitory room with a private bathroom and a balcony with outdoor furniture. Offering a balcony with views of the sea , this queen room features a shared bathroom. 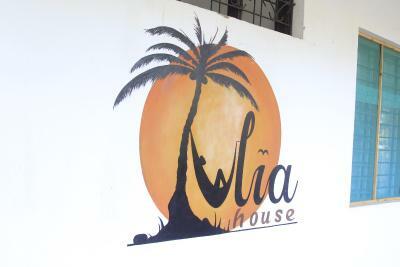 Based in the heart of the entertainment area of Nyali in Mombasa, Tulia House Backpackers offers a range of accommodation to suit every individual and every budget. Boasting the most comfortable accommodation, a wide range of facilities and best quality service, you can relax in the room, enjoy a great meal from our Restaurant, have a drink by the pool from our bar, chill and smoke a in our Sheesha Lounge or enjoy a sundowner on the rooftop with a view of the Indian Ocean. Our young and friendly staff are available to help you 24 hours a day so whatever time you check in there will always be a friendly face to greet you. 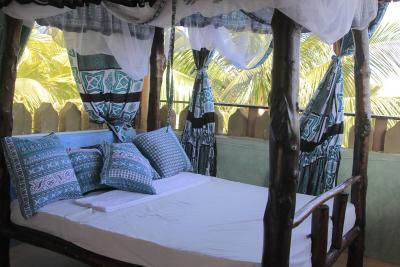 However long your stay is and whatever plans that you may have, the key to enjoying Mombasa to the very maximum is by staying with us at Tulia House Backpackers. 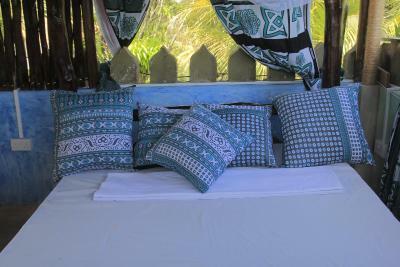 House Rules Tulia House Backpackers takes special requests – add in the next step! 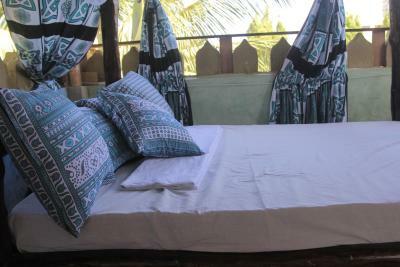 Tulia House Backpackers accepts these cards and reserves the right to temporarily hold an amount prior to arrival. 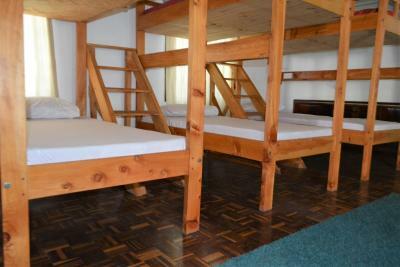 Please inform Tulia House Backpackers of your expected arrival time in advance. You can use the Special Requests box when booking, or contact the property directly using the contact details in your confirmation. 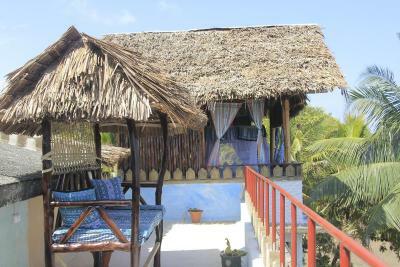 We booked the upstairs bungalow for two which has possibility but it needs work and some effort on the part of the business. First it should own private bathroom. There is space for this up there and wouldn't cost very much. I don't understand why there isn't a shower room and toilet up stairs. Instead you are forced to use a shared bathroom one flight down, of which there is only one for the entire property.The bathroom was not clean much of the day. The door to the private area was broken and would not lock. When I asked the staff about this I was told not to worry and that no one would come up there. This was not true. We had people, mostly men coming up to the roof and once woke to find someone looking into our room very early in the morning. When I spoke to the manager the next day he said he wasn't aware of this even though his staff were. So clearly communication between the staff needs to be improved because the staff knew. On the second night the rain came and we were woken by it coming through the roof. We knew this was a possibility as you can see blue sky when looking up. Being woken up by rain isn't pleasant not to mention all of my things getting wet. It's such a shame as this place as such possibility and it wouldn't mean much more effort to make it lovely. The "dorm room" was literally a big tent outside on sand. The "beds" were literally hammocks with sheets on them. Incredibly hard to sleep and since all the hammocks are tied to the same pole you can feel when anybody else moves at all. 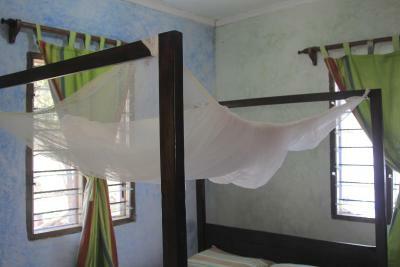 No fans like description said and the mosquito net doesn't have a frame to sit on so it lays against you while you sleep. The dogs are great.. but a bit noisy at night :/ . My room also not swept before arrival.. didn't bother me much but should have been done.. however they kindly accommodated my early arrival so maybe just an oversight. Nice accomodation, close to everything (ATM, supermarket, shops, markets, bars, restaurants, transport) but outside the Mombasa centre madness, felt safe. Very sociable bar/pool area for meeting people. Really nice pool area and delicious breakfast at an affordable price. Comfy bed also! 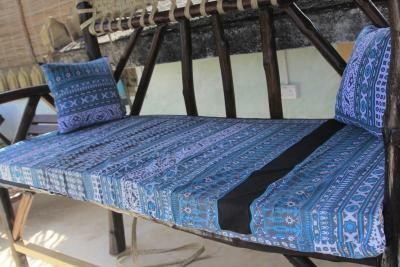 Lots of places to sit and chill.. or the gorgeous nyali beach nearby. Lack of shower door/mat in shared bathroom resulting in super wet floor after shower. Nice setting. Bright and airy dorm. 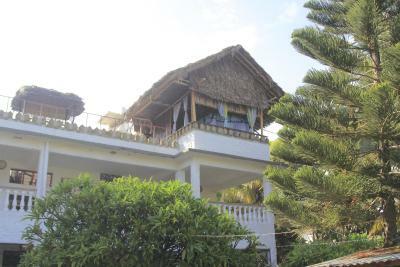 Excellent location near the beach, restaurants, shops and bars. The main property is incredibly run down. We had booked a private double room and the window panes were broken and would not close, and the curtain was just a rag hanging from the bar, so we could not close them and anyone could just walk past and peek in. The bathtub was so gross! 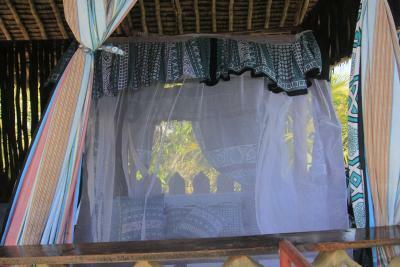 And the mosquito net was broken and useless. 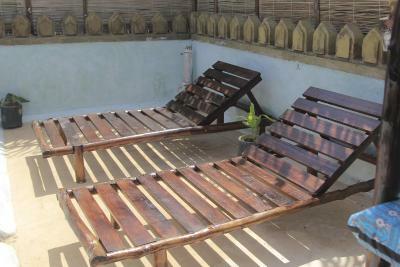 The pool outside was also so dirty and the loungers so run down it was unusable. We asked to be moved to a different room and they only had one in “the other” Tulia. This part was much newer and nicer, but they could only put us in a dorm (to ourselves), but with a shared bathroom. The door was an unlockable sliding glass door, and no safe for valuables. The first night the AC didn’t work, but it was fixed by the second day. The whole time we were there giant ants kept coming out of the AC and crawling on the bed below it. We asked for a reinbursement when we checked out and they only offered us one free pizza that we had for dinner ($8). Considering we paid $45 a night for this, we were less than happy. I would not recommend this place to anyone. This hostel is divided in two properties. 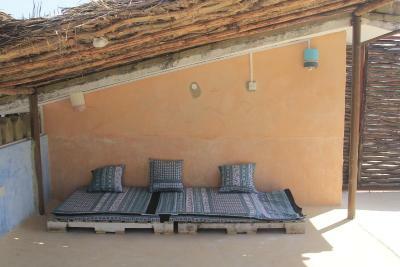 The main one has a lovely bar with a woodfire oven to make pizzas, which were delicious. The other property had air conditioning and the pool was clean with a nice garden. Good location. Staff were really nice. Every thing was good but the security was not good. Was not expecting someone to take something that didn’t belong to her or him,it’s a shame!!. The rooms were too hot if you don't get the right bunk. The pool was nice and they had a good bar area.